Want To Try a Race with Supermotoland in Spain? 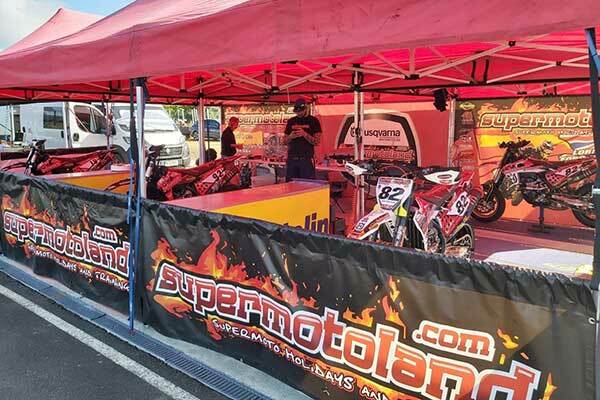 As well as our Holidays and training activities, The Supermotoland team runs riders in the Spanish Supermoto championship. 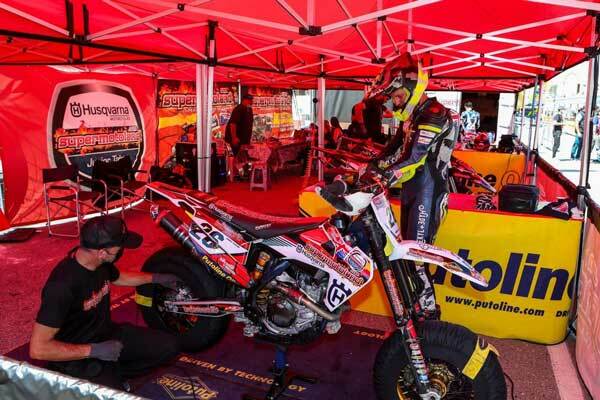 the Catalan Supermoto championship and the European/World Supermoto championships. We have places available for all ages and levels of ability to compete at these events in a variety of categories. You may well find that after one of our training weekends you have a burning desire to take the next step into racing a supermoto bike. Our instructors can advise you on taking the next step and adjust our training program to make you 'race ready'. Racing at these events is usually run over two days (Saturday/Sunday) and we have formulated a package where you can fly into Spain and just turn up to the circuit where you will find the team with your bike ready for practice and racing. 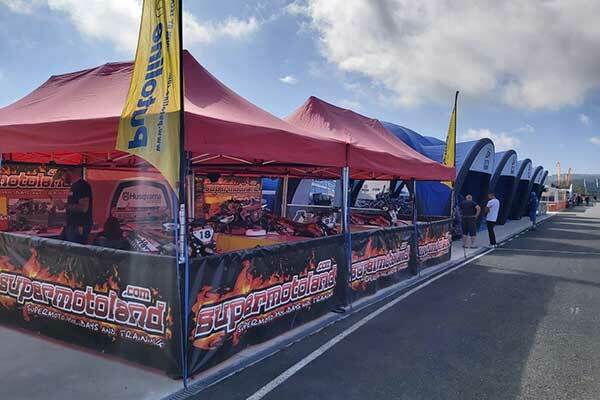 You will need to have the appropriate race license and have entered the race meeting beforehand but the hard work of preparing a race bike and running it through the weekend will have been done for you. The Spanish and Catalan championships have many age related categories that mean that all levels of ability and age have a crack at a podium position and the chance of taking home a trophy as well as appearing on national television. We would recommend the SM road class as a fantastic way to start racing as there is a very mixed level from moto3 racers to beginners so there is good racing throughout the field. 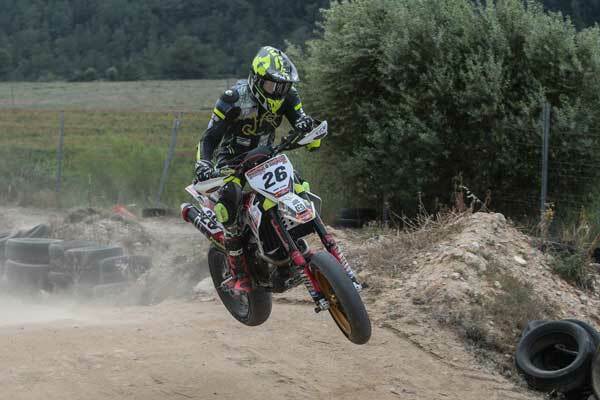 The European Supermoto championships are run throughout Europe and usually consist of 5-6 rounds. The level here is usually very high as the best in the world race for European and world titles in front of television audiences throughout the world. The Supermotoland bikes will be race tuned and set up with suspension to match your weight and riding style with mechanics on hand to get the best out of your bike for you. It really is a case of just turning up with your kit bag like any Motogp racer on a flyaway and then enjoying a good weekends racing before jetting off back home (hopefully with a trophy in the kit bag). Prices for a race weekend start at 1995 Euros with 2 sets of new race tyres included , race fuel, and practice all included in the cost. A cheap way to go racing with a Team looking after you. 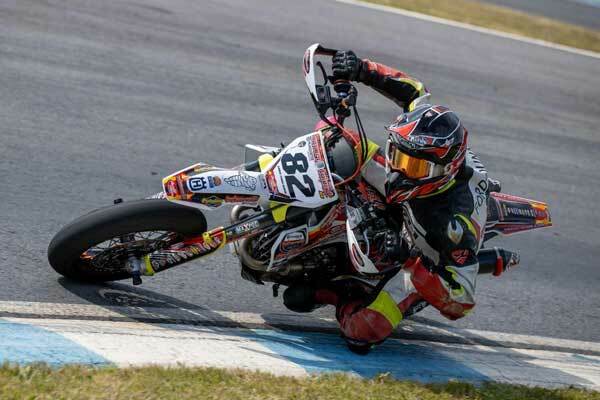 You can race just one round or a whole series, whatever best suits yourself, but beware....once you have raced Supermoto it's hard to stop!! !